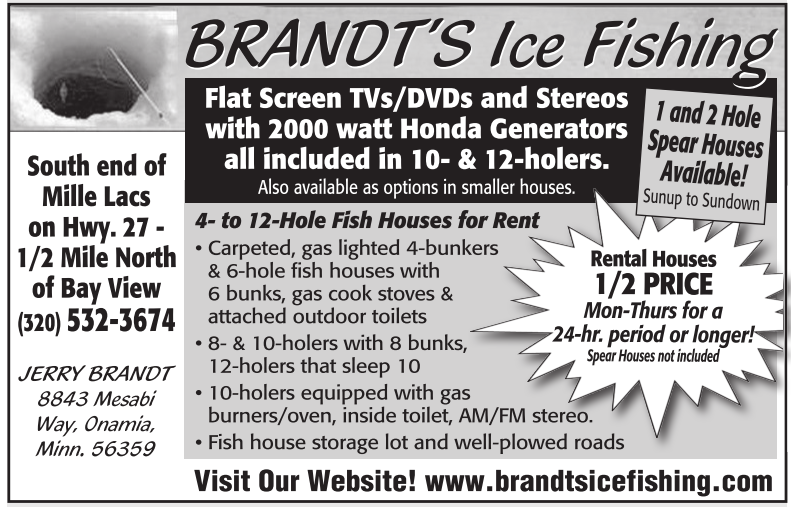 Flat Screen TVs/DVDs and Stereos with 2000 watt Honda Generators all included in 10- & 12-holers. Also available as options in smaller houses. • 10-holers equipped with gas burners/oven, inside toilet, AM/FM stereo.